The Keto Diet has some guidelines on the foods that you can eat. While you must exclude foods rich in carbohydrates such as grains, pasta, and sugar, you also need to step up your consumption of beneficial foods. Easier said than done. Sometimes, including good foods in your diet is not as simple and easy as it sounds. Keto diets work only if your body gets essential nutrients that help it burn extra fat and promote lean muscle. Blame it on our lifestyles of poor food choices, the fact remains that our diet is becoming increasingly bereft of good foods. To ensure your inability to include essential foods in your diet does not spell doom for your weight loss goals, look for supplements. Health practitioners all over the world recommend a number of supplements to their patients on keto diets. Creatine supplements are among the most common supplements used by keto freaks. Before we delve into what creatine supplements do, let us first understand what creatine is and why our body needs it so desperately. Creatine is an organic compound. Creatine performs a number of roles such as promoting muscle health and providing protection against neurological disorders. The compound is stored in different body parts such as muscles, brain, kidneys, liver, and pancreas. Some foods rich in creatine include tuna, red meat, and salmon. So, why do experts recommend taking creatine supplements to people on a keto diet? The simple answer to this question is that it works perfectly well with keto. Creatine supplements help individuals on a keto diet get one step closer to their ultimate goal of increasing muscle mass (accompanied with fat loss) without necessarily losing weight. These supplements boost brain health, which can help with sleep deprivation and other conditions. And the best part is that creatine supplements do not affect ketosis. Apprehensions regarding the safety of creatine supplements are totally baseless. Creatine is one of the most researched supplements. Years of research and different studies have not found any major side-effects of taking creatine supplements. Additionally, there is no evidence that suggests the presence of hidden carbs in creatine supplements. For effective and sustainable results, many experts recommend sticking to an unflavored form of creatine which should be taken with water or any other keto-friendly liquid. When deciding the appropriate dosage, consider your goals. Most importantly, before including a supplement in your diet, do not forget to consult your physician. There are a number of creatine supplements on the market; however, not all deserve your attention. To help you make informed decisions, we, have compiled a list of creatine supplements that really work. When buying a creatine supplement, you need to consider a number of factors. 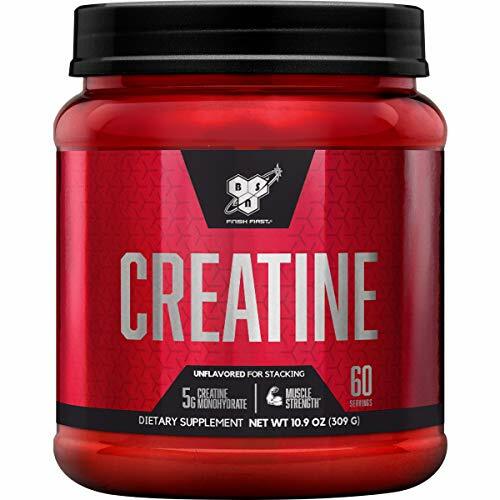 Creatine supplements include different types of creation including Creatine titrate, Effervescent creatine, Creatine Ethyl Ester, and Creatine Gluconate. Every type of creatine comes with its unique set of advantages and disadvantages. To get the most out of your supplement and avoid potential side-effects, learn about the types of creatine used in products by your preferred brands. Before buying a supplement, discuss the pros and cons of using each type of creatine with your doctor. To ensure you get value for money, find out the price per dose you will be paying. Price per dose can be calculated by dividing the product’s price by the number of scoops it contains. While price is an important factor to consider, it is not the only thing to emphasize. Before giving in to the temptation of buying a cheap supplement, look for user reviews and visit health enthusiast forums to make sure the product is worth your trust and money. Look for products with enhanced solubility. Supplements that do not dissolve, often clump, which can result in particles sticking to your mouth for hours, causing you to have an unpleasant experience. Before buying a creatine supplement, consider your goals. If, for instance, you want to add muscle mass, look for a supplement that includes a blend of Creatine Pyruvate, Creatine Monohydrate, and Creatine Alpha-ketoglutarate. If weight loss is your ultimate objective, opt for a supplement that includes CreaPure Creatine. If you are on a keto diet, consuming sugar is the last mistake you’d want to commit. To ensure you are on the right track to achieving your goals, look for sugar-free products. Prefer powders with natural flavors over those with the artificial ones. The best creatine supplements can help muscles produce more energy, improving exercise performance. Studies suggest that these supplements can also help with Parkinson’s Disease by keeping a tab on the rate at which dopamine levels drop in the mind. Additionally, creatine supplements have shown promise in fighting neurological disorders and keep a check on the spike of blood sugar levels in the body. Most importantly, creatine is perfectly safe for human consumption. Look for products with Creatine Monohydrate as studies have found it to be the best form of creatine. Check the manufacturing date. For effective results, steer clear of products that were manufactured several weeks or months before the intended date of consumption. Make sure the product is sourced free of additives, fillers, substrates, and contaminants. Look for micronized products that can be easily absorbed by the body. Opt for a soluble powder. If you are allergic to dairy products, look for a vegan, soy, and gluten-free product. You can add creatine to your favorite liquid. It can be a smoothie, juice or any other beverage. You can also take creatine with water; however, many supplements are unflavored and taste bitter, which can make it difficult for you to drink them with water. Before starting to use a creatine supplement, you must determine the amount of creatine your body needs every day. When determining the amount of creatine you need to take, two important factors to consider are your lifestyle and the amount of muscle mass you have. During the loading period, your trainer may ask you to take 5 grams of creatine, four times a day. Decrease the amount gradually. If you want swift results, consider pairing your creatine with other supplements. Though little research has been done on the right time to take creatine, many experts believe that using the supplement before and after a workout can deliver effective results. To ensure your creatine supplement works as hard as you, come up with a dosage strategy. Creatine Powder by Genius can be used as a post-workout supplement. The supplement works on the theory of repair and rebuild, helping cells recover and increasing protein synthesis after every workout. The product has been specially formulated to boost lean muscle gain and strength. The powder contains SR Beta Alanine that is known to enhance muscular endurance, one of the keys to enhanced performance. The product is fit for use for both men and women. Genius Creatine Powder is lab-tested for quality and purity. 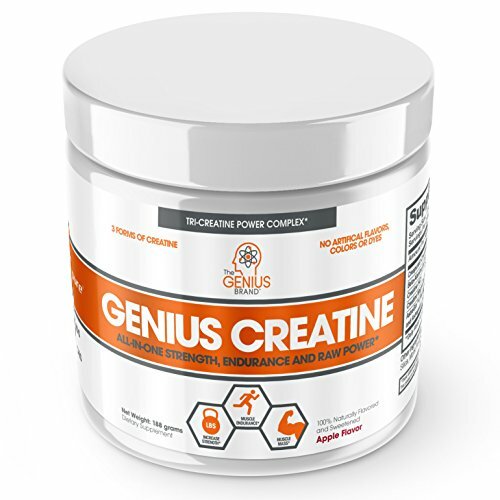 Genius Creatine Powder uses 100 percent natural flavors and sweeteners. For effective results, mix a scoop of the supplement with 8 oz of water. Creatine HCL Powder by BulkSupplements is available in five sizes, 100 gm, 250 gm, 500gm, 1kg, and 5kg. For superior absorption, the product contains pure micronized creatine. Creatine HCL Powder is lab-tested and certified for quality. The product includes hydrochloride that dissolves easily in water. For effective and sustainable results, consume 750-1500 mg of HCL powder every day. To improve performance, take the supplement with water around 20-30 minutes before starting to exercise. If 'taste' is a concern, add the supplement to your favorite juices or protein shakes. You can also pair it with other supplements. To get the most out of the supplement, it is advisable that you use the product before its expiry date. The supplement contains not one but three beneficial ingredients- Creatine Monohydrate, Betaine, and L-carnitine L-tartrate. 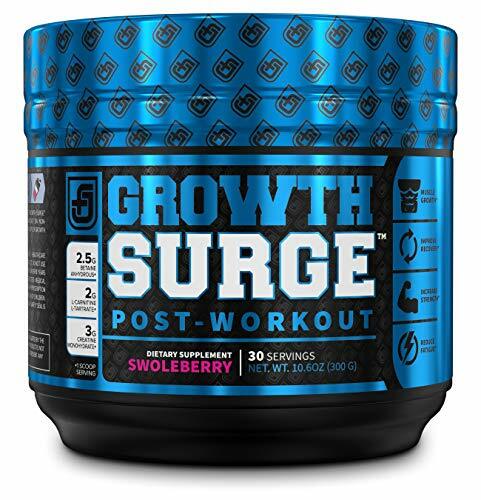 While Creatine and Betaine support muscle growth and enhance energy. L-carnitine L-tartrate provides essential nutrients for fatty acid metabolism and transports nutrients to muscle cells. The end result? You gain lean muscle mass while losing body fat. For enhanced absorption, the product includes Bioperine. The supplement helps speed up the process of muscle recovery after a workout. The product is manufactured in a GMP-certified facility, which should address any quality or safety concerns you may have. For effective results, mix a scoop of the supplement with 16oz of water. May not be fit for use for nursing mothers, pregnant women or people with certain health conditions. The supplement is available in two different flavors- fruit punch and strawberry lemonade. An unflavored version of the supplement is also available for those who are on a strict diet. The workout supplement contains Creatine Monohydrate, the best type of Creatine. The product includes natural sweeteners and flavors. 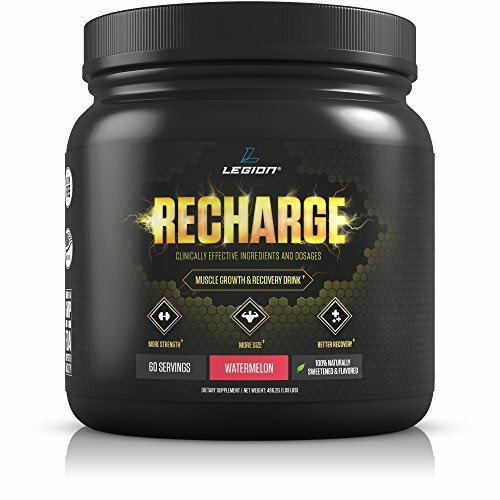 Legion Recharge Post Workout Supplement works faster than many other supplements on the market. Just add it to your favorite juice, shake or smoothie, and you will start experiencing results within a couple of weeks. In addition to containing Creatine Monohydrate, the supplement includes L-Carnitine L-Tartrate and Corosolic Acid. While L-Carnitine L-Tartrate helps generate cellular energy and speed up the process of muscle repair, Corosolic Acid is known to regulate blood glucose levels in the body. The product is manufactured in a GMP and NSF-certified facility. For optimal results, add a scoop of the supplement to your pre and post workout drink. Micronized Creatine Monohydrate Powder is available in four colors and five styles. The supplement includes a special formula that helps build lean muscle mass and boost energy. The supplement is micronized, which ensures superior solubility. The product is unflavored. The supplement’s USP lies in its 100 percent pure ingredients. 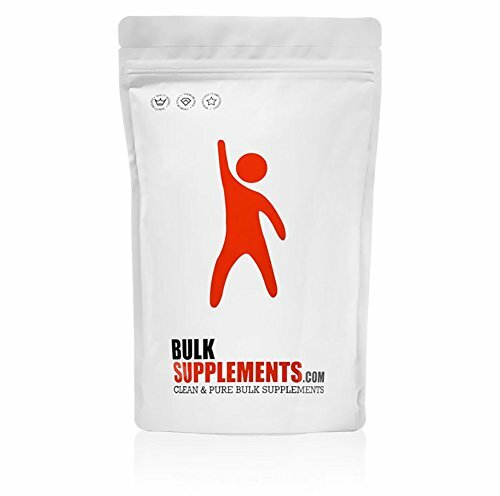 Unlike many other supplements on the market that include fillers and preservatives, BSN’s Monohydrate Powder contains pure, micronized Creatine Monohydrate. For optimum results, add 5 gm of the supplement to your favorite protein shake, juice or water. The supplement is manufactured in an NSF-certified facility. May not be fit for use for people with certain allergies. Though all these products include the goodness of creatine and other beneficial ingredients, when it comes to taste, Genius Creatine Powder is the clear winner. While keto fanatics do not solely focus on taste, for beginners, it can be a considerable factor. The supplement not only helps speed up the process of muscle gain but can also help steer clear of bloating and other issues.